Note: The KiwiSaver HomeStart Grant and the KiwiSaver First Home Savings Withdrawal are two entirely different things, but you may be eligible for both. This guide is for the HomeStart grant - refer to our First Home Savings Withdrawal guide for further details. Being a member of KiwiSaver can provide a fast-track to homeownership for qualifying New Zealanders. This guide walks you through what you need to know, the limitations and tips to make your KiwiSaver balance goes as far as possible when buying your first home. If you've contributed on a regular basis to KiwiSaver for at least three years, you may be eligible to the KiwiSaver HomeStart grant, with a cash payment of between $3,000 and $10,000 depending on your circumstances and type of home you are buying. There are a number of requirements for a HomeStart grant, we outline them below. 3 percent of your yearly benefit for beneficiaries. ​You are the sole buyer and have earned $85,000 or less in TOTAL (before tax) in the last 12 months. If you had a pay rise above $85,000, you might still be eligible as the HomeStart grant considers the total amount earned in 12 months. If you are two or more buyers, you must have earned a combined income of $130,000 or less in TOTAL (before tax) in the last 12 months. Money gifted from a relative - you'll need to fill out a gifting declaration form and submit it to verify the funds. 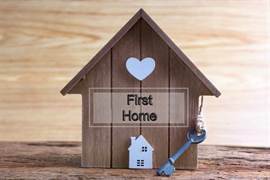 HomeStart requires that all deposit money must be 'obligation-free', meaning it cannot be borrowed, secured against other property, a family guarantee etc. If you are purchasing the property with other people, it must be in equal shares, i.e. if there are 4 of you, you each own a 1/4 share; for 3 of you it would be a 1/3 share, etc. What's the amount I'm entitled to? If you've met all of the criteria above and your property is within the home price cap, you are likely to receive a free KiwiSaver HomeStart grant. The next step is to calculate the amount of HomeStart grant you are entitled to; generally, the longer you've contributed to KiwiSaver, the higher your grant. And if you're buying a brand new home, you will be entitled to even more money. 5 years = $5,000 (the maximum you can get). 5 years = $10,000 (the maximum you can get). Every New Zealander is different, and the earning limits will arguably be fair to some and not others. Even a $2 salary difference can make a huge difference when it comes to putting together your home deposit. For example, if you're a couple earning a total of $130,001 you're entitled to $0 whereas the same couple earning $129,999 could be eligible for up to $20,000. This is what the law is - there is no way around it. You may feel this is unfair if you're earning above the threshold but other New Zealanders could argue you're earning far more than a lot of other people. Wherever you sit in the earning spectrum, if you're eligible for the HomeStart grant then it's in your interest to apply for it and do your best to secure it. Do you exceed the $85,000 or $130,000 earning limit? Housing New Zealand will assess if you earned $85,000 or $130,000 in total over the 12 months before you apply. 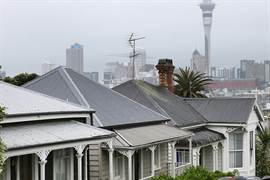 If you've had a pay rise in the last 12 months to over the earning limit, you may still qualify as Housing New Zealand looks at the total salary you were actually paid - for example, if your salary jumped from $80,000 to $90,000 in March and you apply in April, the total salary for the last 12 months would be somewhere around $81,000. If your company offers a share-based incentive plan, i.e. sacrificing salary for shares in the company you work for, this also lowers your total salary as it is assessed on a cash basis. DO NOT approach your employer asking for a temporary pay reduction to meet the earning limits - this is fraud and no employer with any sense would oblige. You also risk your job by asking - so don't. If you are undecided on what property to buy, it is a very good idea to apply for HomeStart grant pre-approval. The process is easy - you just need to have met the criteria outlined above, with the exception of the property price (which won't be known when you apply). Once the grant is approved, it is valid for six months. This is a huge help when you apply for lending and are looking for a property to buy. Once Housing New Zealand is happy, you'll receive your money and be one step closer to homeownership. 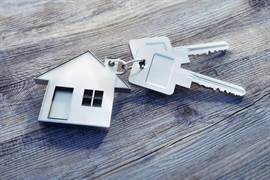 A "new home" is considered "a home which received its building code compliance certificate less than six months before Housing New Zealand receives your KiwiSaver HomeStart grant application". The building code compliance certificate must relate to the home as a whole and not only some building work on the home. If you buy a bare piece of land and plan to move an existing home there, this is no longer considered to be a "new home" and therefore the HomeStart grant drops to between $3,000 and $5,000. Buying a new home is different from buying an existing property - in many cases you will agree to make initial payments or progress payments to help the builder or developer secure financing to undertake the project. These payments can come from the HomeStart grant, but, the money must be held in trust, escrow or a similar arrangement, with payment only going to the developer only upon settlement. Our view is simple - if you are buying a home off a plan, get legal advice to make sure you fully understand such an agreement and the obligations you have. Your developer will need to be aware that the KiwiSaver HomeStart grant you are entitled to will be held in trust or escrow until the settlement date. Phone calls from your lender to ask about the living situation, whereby it is reasonable to expect the lender is looking for consistent information between phone calls. Any irregularity may be investigated as renting the entire property to tenants can often be a breach of a homeowners' mortgage agreement. If you do rent your home, you'll have to register the tenants' bond with the ​Department of Housing, who administered the grant initially. This may cause a red flag. The IRD will be able to determine income from renting a property, which needs to be explained if it is for the entire home. Renting a spare room (or as many as you have) is fine, as long as you continue to permanently live in the property. Housing New Zealand recommends applicants get organised early and allow for delays if questions are raised. If you need to apply for the grant to meet your financial obligations in a property's agreement for sale and purchase, a lead time of at least 20 working days before your home purchase's unconditional date is the minimum recommended application submission time frame. Leave your HomeStart grant application too late and you could miss out on the money altogether! Whoever meets the eligibility criteria will receive a share of the total grant in accordance with their individual contributions history as long as they have not received the grant before (or received its predecessor, the KiwiSaver deposit subsidy). For the purchase of older/existing properties, the earliest your HomeStart grant can be paid is on the morning of the property settlement, i.e. the day that you own your home. There are no exceptions to this. The purpose of the HomeStart grant is to lower the total amount of mortgage you need to borrow. If you have successfully won a property at an auction, you may have to pay a deposit to secure the rights to purchase the property. The HomeStart grant CANNOT be used to pay this cost - you will need to have your own savings. The property must be priced under the cap for the region - for example, you won't qualify if you're planning to buy an existing $800,000 home in Auckland as the cap is $600,000. Do I need to be a KiwiSaver member to apply for a HomeStart grant? Yes - and you'll need to have been contributing for at least three years. If you are unsure, contact your KiwiSaver scheme and they'll be able to determine if you qualify or not. If you are just short of a few months, you need to continue contributing until you reach the threshold and then can formally apply for the HomeStart grant. I am self-employed, do I qualify for the HomeStart grant? This depends on your income and contributions. If you have contributed at least three years in total to KiwiSaver and earn below the $85,000 individual or $130,000 group limit for the last 12 months on the date you apply, you should qualify. You'll need to check your contributions have met the threshold - your KiwiSaver provider will be able to assess this for you. I have had a number of employers in the last few years - do I qualify for the HomeStart grant? Yes, as long as you have met the minimum contributions depending on your employment background. KiwiSaver HomeStart only considers whether you've made 3, 4 or 5 years of contributions, so if you've made 3.5 years you won't qualify for a higher grant than the 3-year level. It's important to know that the 3, 4 or 5 years don't have to be consecutive - if you've gone overseas, been in between jobs and/or gone on maternity leave, Housing New Zealand only looks at the total years contributed so you are not penalised. Salary & wage earners – automatic deductions from salary & wages - add up the number of months you contributed, divide it by 12 (i.e. 12 months er year) and you'll have the number of years you contributed to. Self-employed or beneficiary – voluntary contributions - as these are made (at least) annually, add up the number of years where you made contributions and if it is 3 or above, you have met the contribution requirement. Mixed salary/waged/benefit and self-employed – if you've experienced a number of employment situations, combination of automatic and voluntary contributions. ​Plus the number of contributions per number of years of self-employment/beneficiary income equals or exceeds the relevant period for which the grant is sought (3, 4 or 5 years) – self employed/benefit portion. Do I apply for the KiwiSaver First Home Savings Withdrawal on the same form as my HomeStart grant? No. They are separate processes and need to be applied for on different application forms. To withdraw your KiwiSaver contributions, you will need to contact your KiwiSaver scheme provider directly and follow their process. I've been living overseas and have just come back to New Zealand and want to buy a home - can I get the HomeStart grant? The answer is simple - it depends on the contributions you have made; unless you have contributed to KiwiSaver for a minimum of three years, you won’t be eligible. This means if you left New Zealand in 2016 but contributed from 2012 to 2015, you would most likely be eligible. To be sure, you'll need to submit an application with your KiwiSaver contribution statement - see the application process below for more details. What does "new property" mean, and does it include a new apartment? I have an existing agreement to buy a house/land package (or apartment) a few months ago. The development has not completed yet - can I apply for a HomeStart grant? Yes, in most situations, you are eligible as you are not a "homeowner" yet by definition, and if you still have 4+ weeks before the settlement date, there is enough time to process the application. Any funds granted would be given to your lawyer and held on trust until settlement date. Proof of income - Proof of your total income earned in the last 12 months. If you are buying a house with others, you'll also need their confirmation of the income they earned in the last 12 months as well. The Housing New Zealand website has specific guidance for income assessment evidence. Your KiwiSaver contribution statement - this has to be a transaction statement, not a closing balance of money. Attach the documents you gathered in Step 1 above and submit these to Housing New Zealand - all details are outlined in your online application form. Mortgage Brokers are professionals who can offer a lot of guidance when buying a house, as well as get you bank-beating mortgage rates. Mortgage Brokers can be found all over the country. They offer advice for free and help you navigate the process of being a home owner. Best of all, you don't pay them. Mortgage brokers make their money from commissions they earn when you sign up for a mortgage - but you're under no obligation to choose one of their deals if you can get a better deal by yourself. Our view is that mortgage brokers are a first home buyer's best friend and a good mortgage broker can even teach you how the whole house-buying process works. Of course, make sure you do your research - our guide to mortgages is a great place to start. The best approach is to contact 3 or 4 banks and ask them what their best interest rate is - what you see advertised is often not what you will be offered. You can take the quotes you receive to the banks and ask them to beat each other. You will need to know how much KiwiSaver funding you can obtain (either HomeStart and/or Withdrawal). 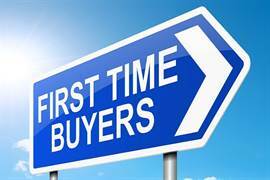 You're generally at an advantage for your first home purchase where you can do a quick settlement on a house if the vendor wants that, because it lets you negotiate a good purchase price.